One of the most popular questions I get from other writers involves the idea of chapter breaks. Many writers feel like there is a certain industry standard dictating where, when, and how a person is supposed to break a chapter. This notion is ludicrous. 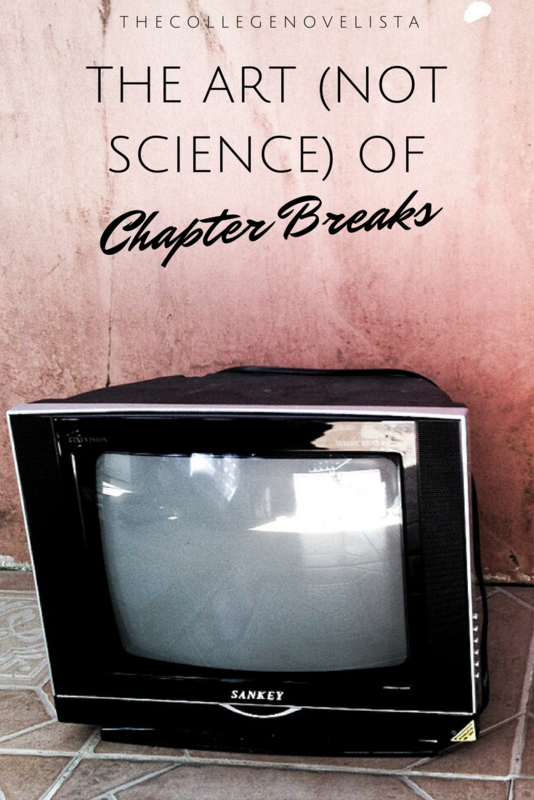 In this post, we’ll discuss the concept of scenes, the “right” time to break, and where and how to pull off a successful chapter break. In the writing world, scene is a term that gets thrown around without much explanation. A scene is simply the smallest meaningful unit of a work of prose such as a novel or a short story. While most writers craft chapters containing several scenes, there is nothing wrong with devoting an entire chapter to a single scene as long as that scene contains a clear conflict with a beginning, a middle, and an end. The conflict should be introduced at the beginning, deepened in the middle, and solved or further complicated at the end. The best way to look at scenes is by considering them as miniature short stories. Practice developing well-crafted scenes. Now that we have an idea of scenes, we can talk about the notion of a “right” time to break a chapter. There is no such thing. I don’t know where such an idea got started, but it’s only a myth. When it comes to ending one chapter and moving onto the next, you should go with what feels natural. As long as you’re consistent, your readers won’t mind. When it comes down to it, the best advice I can give you for breaking chapters is to go with your gut. You know the story and you have an idea of the flow. Another tip I have is to insert a chapter break where a commercial would go if your novel were a show or a movie on television. Commercial breaks create suspense and keep the audience tuned in to see what happens next. When you’re ready to move on to the next chapter, lead in with a bit of dialogue, reflection, or action that creates curiosity for what comes next. Writing scenes and breaking chapters isn’t all that difficult. With a bit of practice, hard work, and instinct, you’ll be breaking with the best of them. How do you break your chapters? Do you prefer them to be long or short? Break them as if you were writing a TV show, and you wanted to stop just in time to add to the suspense. That’s what I do, at least.